Arcadia‘s superstructure makes extensive use of krypton-filled double-glazing with solar cells incorporated into the glass. There are various ways to cut the pollutants yacht engines emit, but they fall into two categories: prevention and removal. 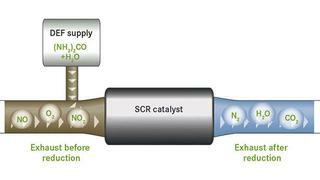 SCR systems add a urea solution into the exhaust flow. This creates ammonia which turns nitrogen oxides into harmless nitrogen and water vapour. 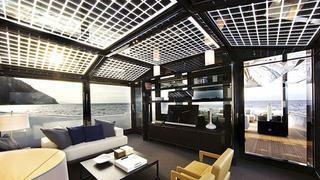 Every boat show sees new motor yachts coming on to the market claiming to have green credentials. The variety of designs being promoted highlights the many different ways that there are to go green and there are a lot of alternative technologies on offer that point the way to greener yachting. As with many new technologies there are claims and counterclaims and for many owners it is a confusing picture. Here we look at these technologies and analyse just where the green market is heading and what it is trying to achieve. First of all, it is important to decide just what we are trying to achieve when we want to go green. There can be no doubt that trying to reduce the amount of harmful emissions that come out of engine exhausts is a worthy aim. This has led to two different approaches to the green challenge: reducing the amount of fuel that is burnt by the engines, and reducing the amount of harmful gases that come out of the exhaust itself. 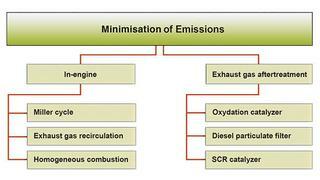 To counteract emissions such as particulates and nitrous and sulphur oxides there is a need to clean up the exhaust from the engine with both filters and scrubbing devices, such as a Selective catalytic reduction (SCR) system. While emissions are being tackled by the engine manufacturers, the general reduction of CO2 and other emissions is also in the hands of the yacht designer.